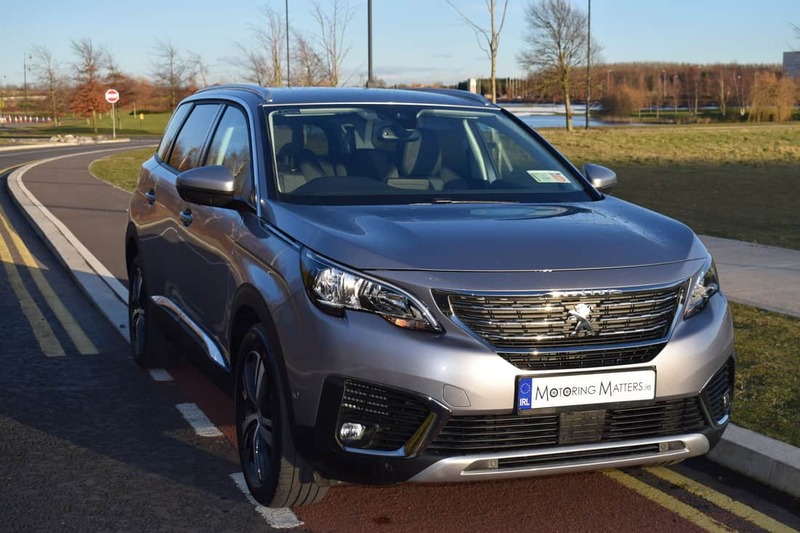 With car buyers throughout Europe increasingly opting for stylish SUV’s instead of practical multi-purpose vehicles (MPV’s), Peugeot’s recently launched 5008 combines the best of both worlds. 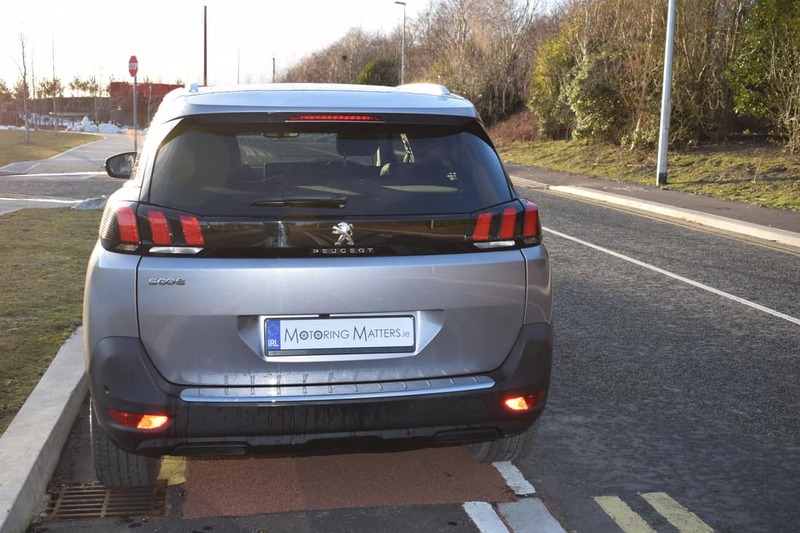 The new Peugeot 5008 has undergone a complete transformation and is almost unrecognisable from the previous model. 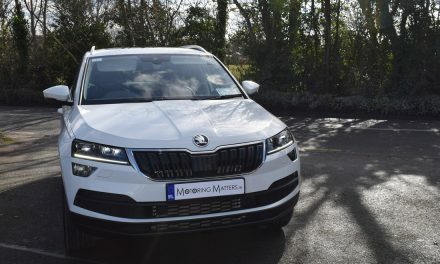 The new model is better than ever, thanks to an excellent interior layout, comfortable seating and efficient engines, along with outstanding driving dynamics. 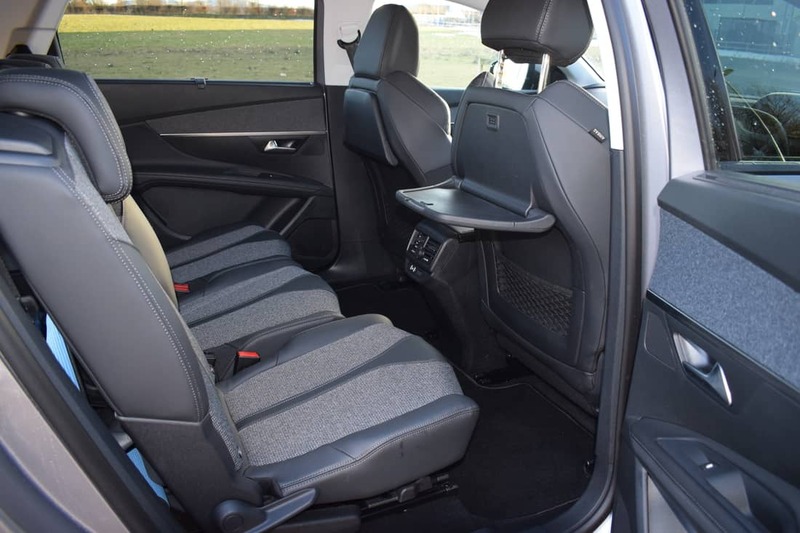 It will come as no surprise that the new Peugeot 5008 shares many features with the French manufacturer’s latest 3008 (Irish Car of the Year 2018), with the obvious difference being that the larger 5008 has a third row of seats in the back. 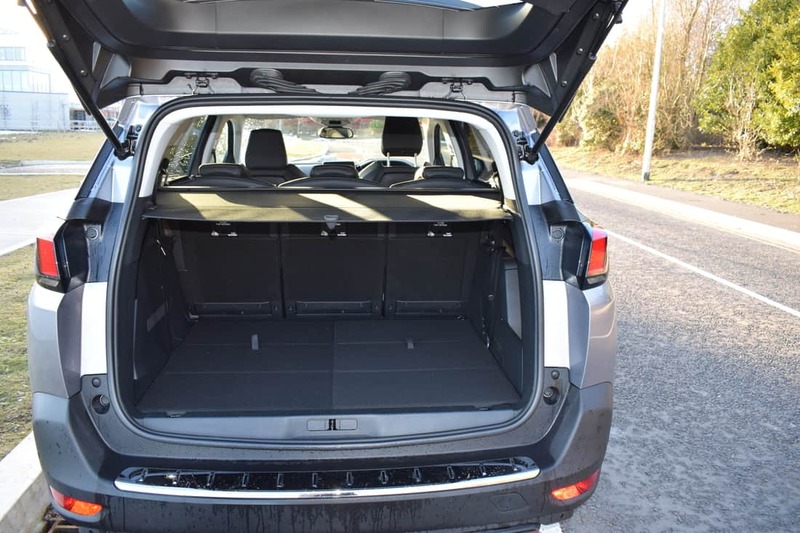 These can be folded down to free up extra boot space when the need arises, with an impressive 952-litres of space available when in 5-seater mode. 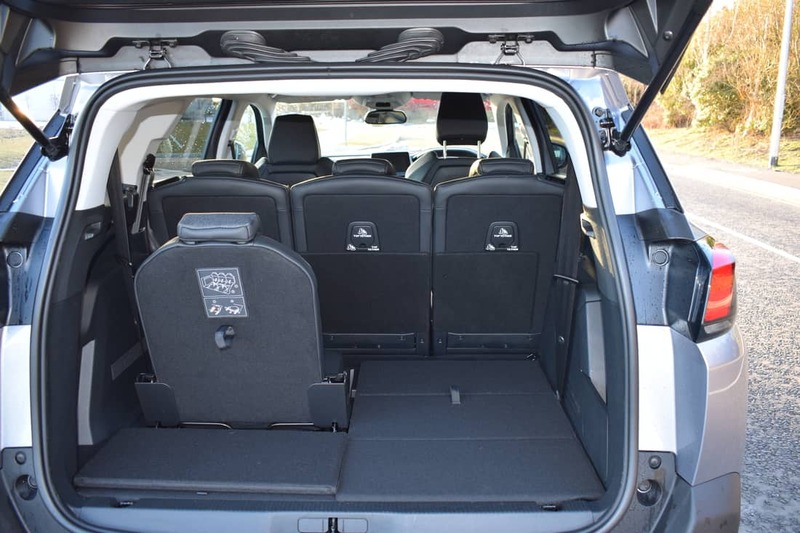 However, fold the middle row seats and this cargo capacity increases to a huge 2,150-litres, making it one of the roomiest cars in its class. 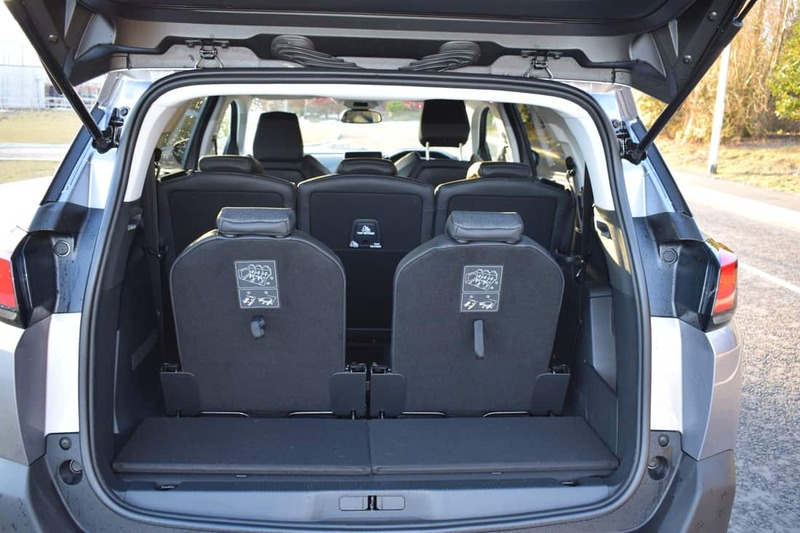 Thanks to a wheelbase of 2,840mm, there is ample room in the front and middle rows for tall occupants, with the rear-most seats being ideally suited to the smaller members of the family (as is the norm in this market segment). 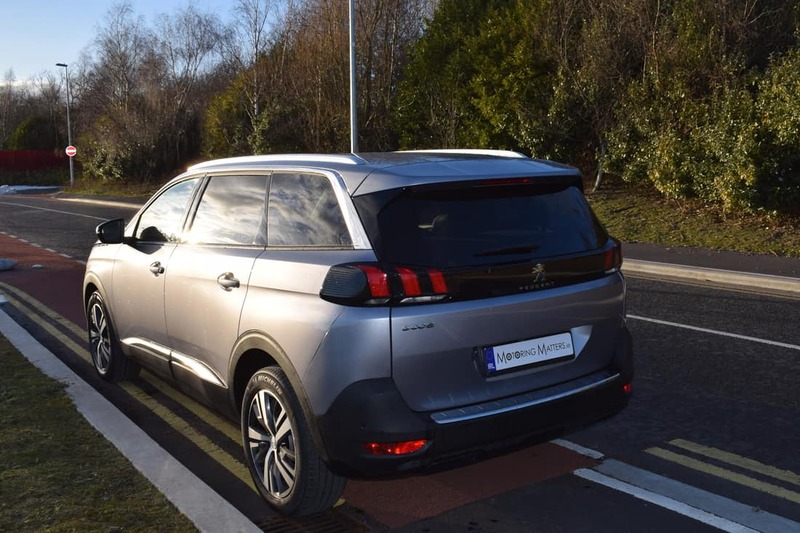 At 4,641mm long, the new Peugeot 5008 is a big car and strikes a dashing pose thanks to its distinctive design. The long bonnet, upright grille and sharp-looking lights are the exterior highlights, but the inside has seen dramatic changes too. 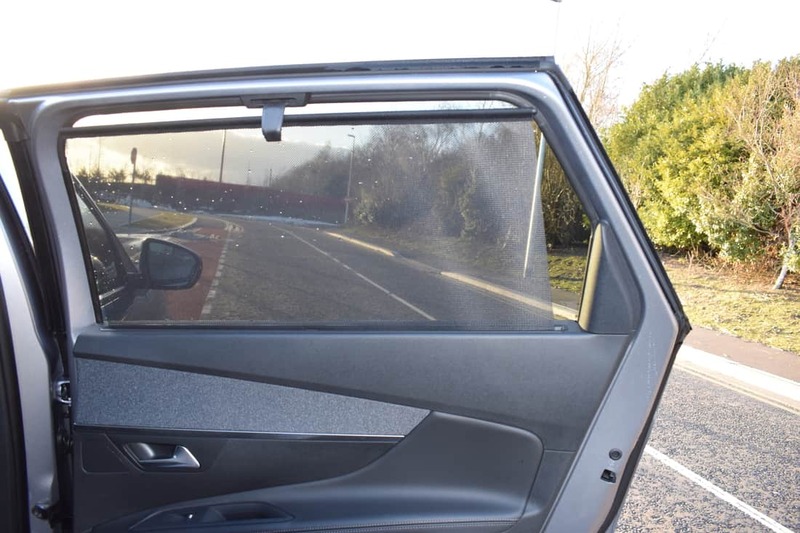 High-quality materials are used all around and this helps the cabin feel very upmarket. Build quality is top class too – so much so that the cabin of the new 5008 is a serene place to be, even at speed. The new 5008’s engine range is carried over from the 3008, which uses the same platform. Petrol power comes courtesy of a 1.2-litre, 3-cylinder, PureTech engine with 130 bhp and a 1.6-litre THP turbo-charged engine with 165bhp. 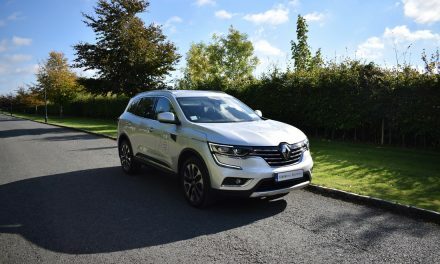 A 1.6-litre turbo-diesel (BlueHDi) engine is available with either 100bhp or 120bhp depending on the model chosen, while a 2.0-litre BlueHDi engine comes with either 150bhp or 180bhp. Opt for the BlueHDi engine with 100bhp and it will be fitted with a 5-speed manual gearbox. All other engines are mated to a 6-speed manual, while a slick-shifting 6-speed automatic gearbox is available with the 130bhp petrol engine and the 120bhp and 180bhp diesel engines. 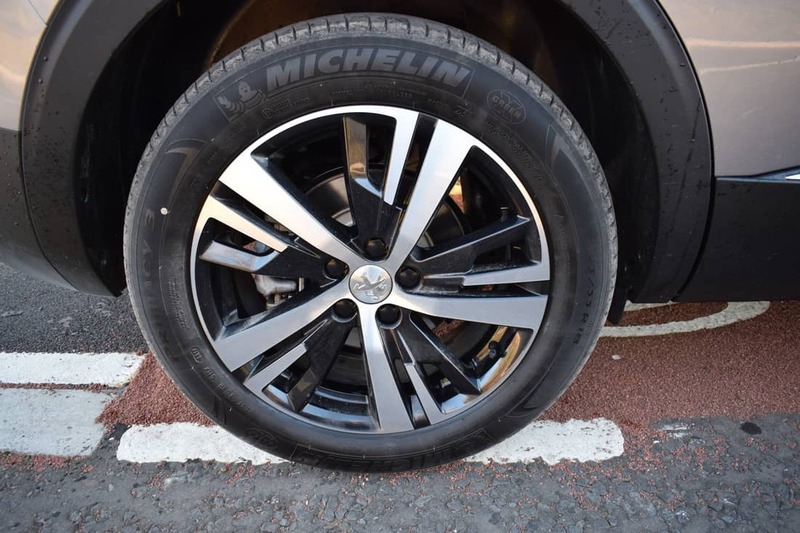 There are 5 specification levels available in the new Peugeot 5008 – Access, Active, Allure, GT-Line and GT. 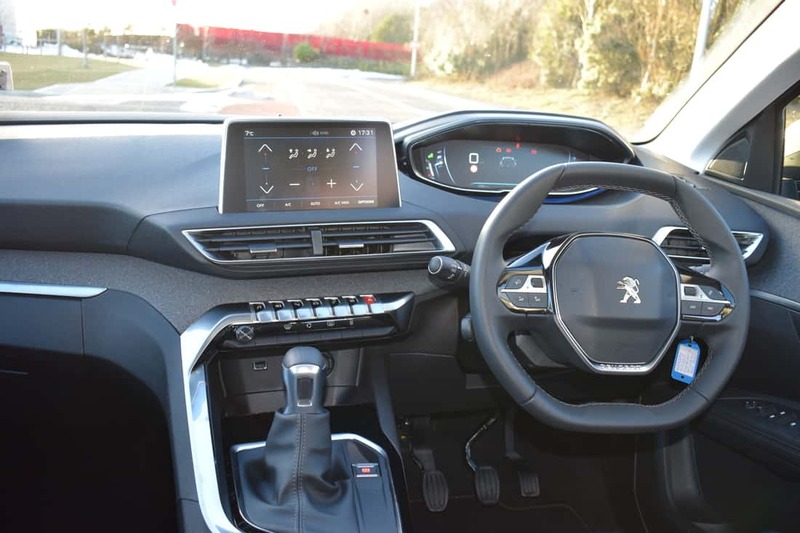 Every model comes with Peugeot’s new ‘i-Cockpit’ which features a configurable 12.3-inch head-up digital instrument display, as well as a separate touchscreen infotainment system with Bluetooth, a compact multi-function leather steering wheel, LED daytime-running lights, rear LED lights featuring Peugeot’s signature ‘claw-effect’, Lane Departure Warning (LDW), speed limit recognition, stop & start function, semi-automatic air-conditioning with touch sensitive controls and an electronic parking brake, along with a host of other comfort, safety and security features. 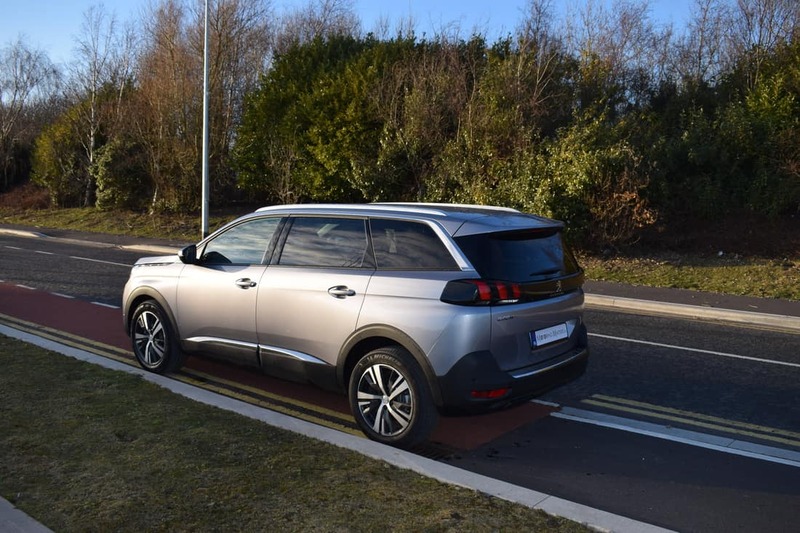 My test car was a new Peugeot 5008 Allure 1.2-litre PureTech 130bhp 6-speed manual finished in attractive Cumulus Grey metallic paint. With 230Nm of torque on tap, this engine provides plenty of forward motion and covers the 0-100km/h sprint in just 10.9-seconds, while consuming as little as 4.5-litres of petrol for every 100km driven on an extra-urban driving cycle. Annual road tax is just €200 thanks to low emissions of 124g/km – helped in no small part by the standard stop & start system. 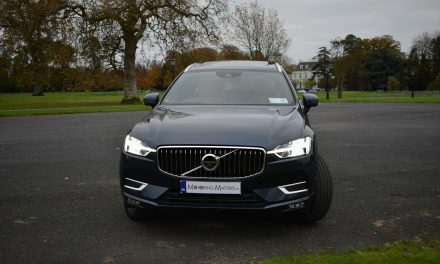 This 1.2-litre engine is so good that it has – for the third year running – been awarded the hugely impressive accolade of ‘International Engine of the Year’ for the 1.0-litre to 1.4-litre category with a panel of 65 industry experts from 31 countries coming to the unanimous decision. This PureTech engine is a revelation in terms of refinement, performance and efficiency, boasting optimum power and low consumption. 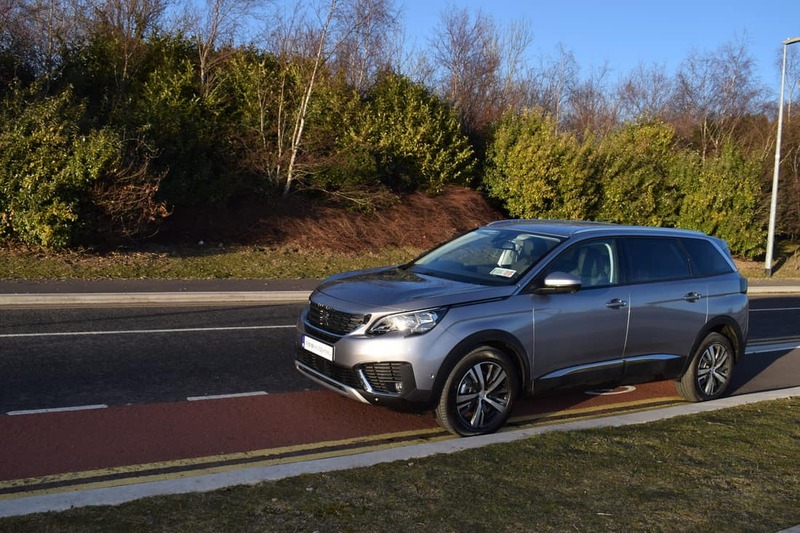 The 5008 does drive and handle exceptionally well for a big seven-seat SUV, feeling much more agile than many of its rivals. The driving position and steering wheel adjustment are excellent, allowing the driver to see the dials over the top of the steering wheel. Rivals to the new Peugeot 5008 include the Skoda Kodiaq, Nissan X-Trail, Citroen Grand C4 Picasso, Ford S-Max and Renault Grand Scenic. 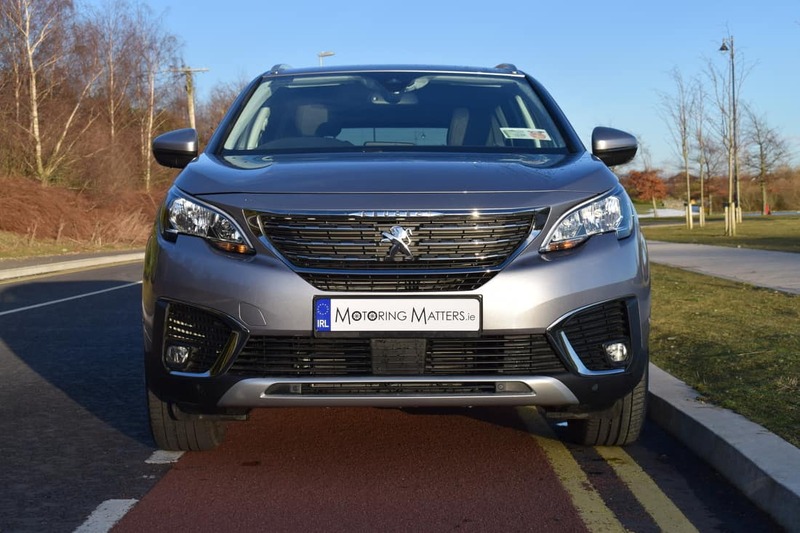 If you are in the market for a sophisticated, practical and stylish 7-seater that combines efficiency with high levels of safety and technological equipment, then the stunning new Peugeot 5008 is well worth consideration. 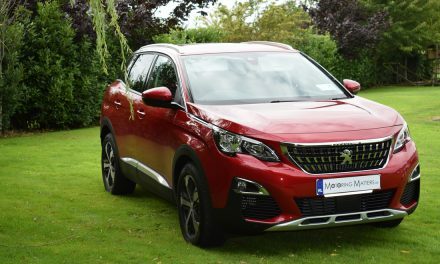 Prices start at just €29,345 (ex works) and all new 5008’s come with Peugeot’s 5-year warranty.